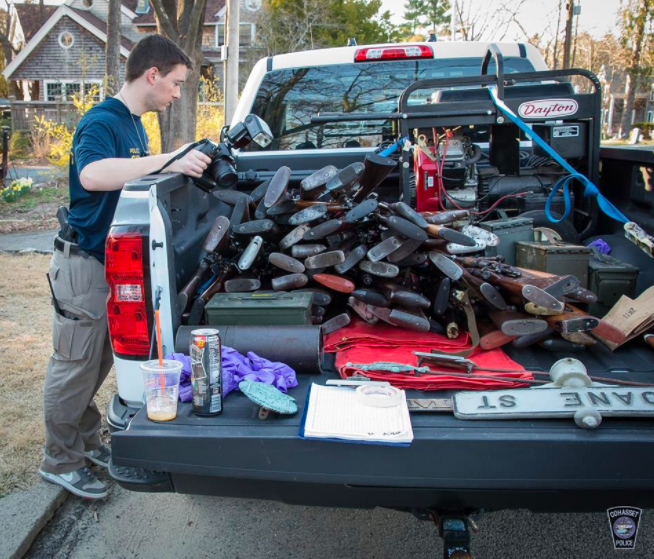 The Cohasset Police Department in Massachusetts seized 98 firearms and a number of shells from a home on Doane Street after a complaint was reported that the arsenal was being stored improperly. 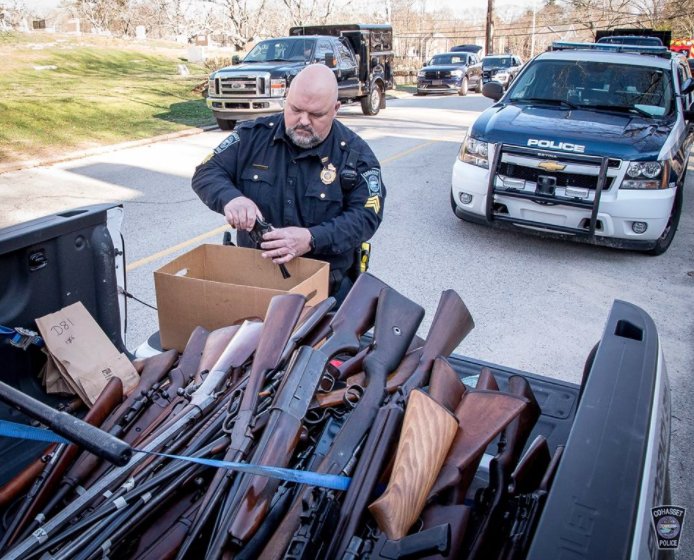 A search warrant was issued and the confiscation included numerous vintage long arms including Mauser bolt-action rifles, lever-action Winchesters, a Browning Auto 5 semi-auto shotgun and assorted other firearms piled in the bed of a pickup truck. 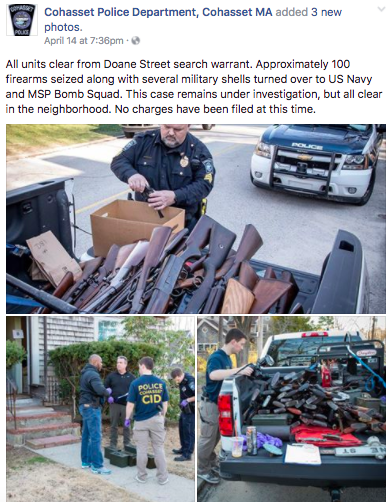 The case is still under investigation, however a local media reported that five “military grade ordnance shells” were transferred to the custody of a Navy unit from Naval Station Newport after being cleared by the Massachusetts State Police Bomb Squad. The unidentified 65-year-old man who owned the firearms had a license but he apparently violated state safe storage laws by not having his guns secured. The shells may have come from the nearby Hingham Naval Ammunition Depot Annex which closed in 1962. Massachusetts is the only state that requires all firearms be stored with a locking device in place, barring keeping any firearm unless it is secured in a locked container or equipped with a lock, according to the Law Center to Prevent Gun Violence.